Romance of the Three Kingdoms XIII: Best Scenario for "RTK" (Japan) - "The Tyrant Returns"
Published by: Koei Tecmo Games Co., Ltd.
Official Site: Romance of the Three Kingdoms XIII: Best Scenario for "RTK" (Japan) - "The Tyrant Returns"
Screenshots Romance of the Three Kingdoms XIII: Best Scenario for "RTK" (Japan) - "The Tyrant Returns"
Steam Store Description (from Ad Blurbs)"The Tyrant Returns," an outstanding scenario that was chosen as the best scenario created within Japan, will be added to the game. During the battle for control between Cao Cao and Yuan Shao, Dong Zhuo, who had been reported dead, was actually alive. 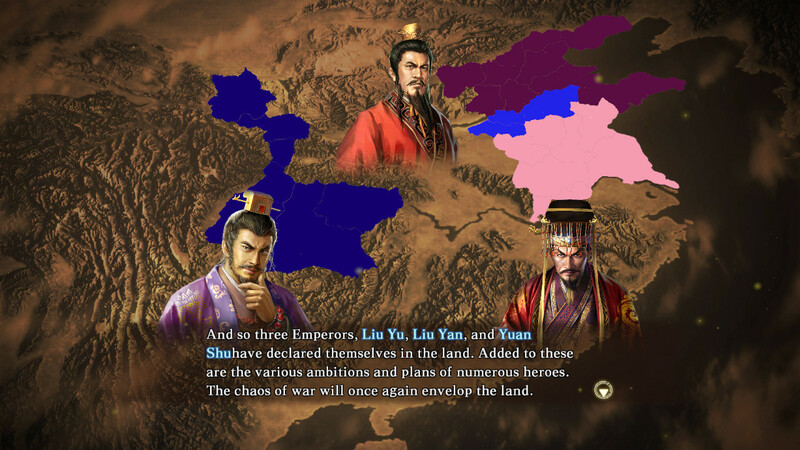 Cao Cao called a truce with Yuan Shao, Liu Biao, Sun Ce and the others and once more sent a proclamation throughout the land. "The Tyrant must die!" The battle of the New Anti-Dong Zhuo Coalition was about to begin! ※ To play this DLC you need to have the latest patch installed. Download Romance of the Three Kingdoms XIII: Best Scenario for "RTK" (Japan) - "The Tyrant Returns"
DLC / Add-onRomance of the Three Kingdoms XIII: Best Scenario for "RTK" (Asia) - "Battle for the Han Court"
DLC / Add-onRomance of the Three Kingdoms XIII: Additional Scenario "Campaign against Lu Bu"